I can walk in my apartment with all the lights off and use little indicators of light(microwave, stove, clock) to navigate to where I need to go. Anyone else like that? I can walk amongst the darkness even by the smallest light and from it I know, without seeing, where the couch, walls, table, and chairs are. Even by one small light I can “see” and “know” where everything else is. Take that away and I would fumble around and probably stub at least two toes…ouch. Sometimes when we walk in darkness we seem lost, scared, or even indifferent to our surroundings. We turn towards darkness and stand frozen, unable to move. There is always a light we can use and turn to in order to see our path. Even at night there is the glory of the moon in order to see. 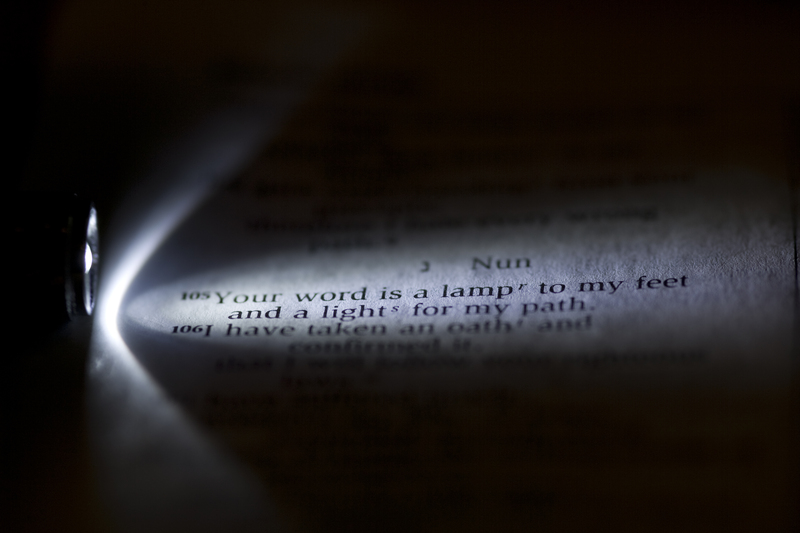 Knowing the Scriptures provides the light to my path…not just reading them. Knowing what He has prophetically spoken over me gives a God jolt to my heart. There comes a point where faith turns to knowledge by experience. His Light, His revealing Himself comes out of experience. He can only be a light to your path unless you are on your path and He is your Light. …men without chests and expect of them virtue and enterprise. We laugh at honor and are shocked to find traitors in our midst. We castrate and bid the geldings be fruitful. I come to You in Jesus’ name. Come and heal. Cause me both to will and to do in order to have all darkness removed from my heart. Forgive me for not only not living with and in my heart for rejecting it and deceitful when You said You gave me a new one. Cleanse my heart from all defilement either I or others have put on it. Shine Your Light and illuminate and flood my heart with Your Light. Let my heart be a place without shadows and without a secret that is held from You. I give you permission to enter every chamber, valve, ventricle, vein, atrium, septum, and aorta. Every room of my heart is open to your Lordship and Love. Father if my heart is broken, fragmented, or ties to things they shouldn’t then please mend, restore, gather together so that it may be whole and wholly Yours. Let Your Word, which You speak over me, be a light to my path and lamp to my feet. And the reverie for that broken Heart;)! Thank you for that wonderful prayer! I would like to copy that to keep in my computer folder so I can really grasp it, pray it, and show it to my husband. Great post!